Summer has proved to be a vibrant mix of lemon chiffon, artic orange, millennial pink, and island green vibes. The Nike Sock Dart is no exception, but we are beginning to see more sneakers drop that will carry you right into our next season. The latest and greatest shade to hit the Sock Dart silhouette is taupe grey. What I like about this colorway is that it is not a true greyscale hue, but has hints of a grape/burgundy feel. The pair is constructed of a lightweight, mesh upper with signature midfoot strap. A small difference with this Sock Dart is the matte finish on the midfoot, giving the sneaker a sleek and stylish appeal. The taupe grey colorway sits on top of a white midsole and black outsole completing the look. Cop or Can?? 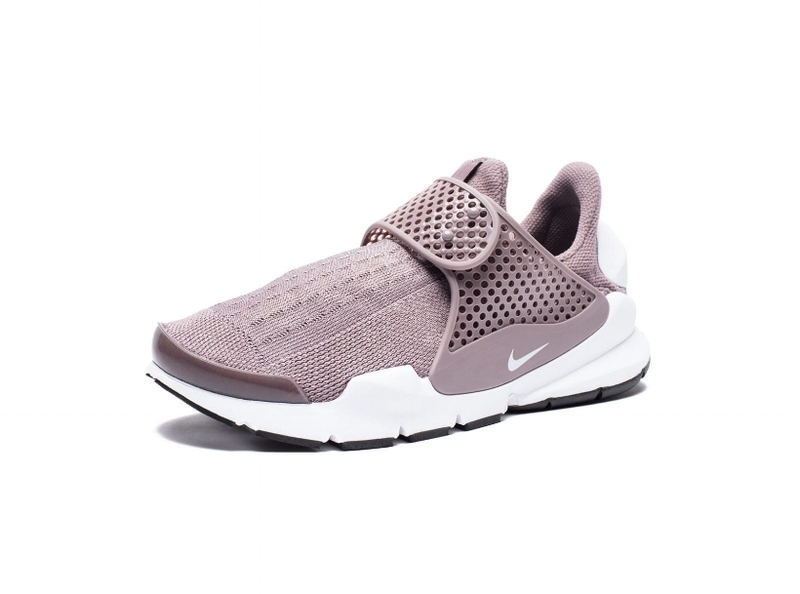 The Nike Sock Dart is available now for $125 and you can shop the sneaks below. This ships within the US, but just as a helpful tip with sizes - UK sizing equals ONE size smaller than your US size. Ladies - we are clappin' for this colorway. These darts are right on target. "Would you like some punch?" Swag surf on these boys.